The ACMA has advised the WIA that it intends to accede to the WIA’s request that advanced licensees may apply for a variation of their licence to permit higher power from a fixed location on a trial basis from 1 March 2012. The ACMA has stressed to the WIA that it remains concerned about the risk of interference from the use of higher power. At the end of 12 months the position will be reviewed by the ACMA. The ACMA has adopted this approach to enable any particular difficulties to be identified and satisfactory solutions found to, in the words of the ACMA, "enable the trial to progress to appropriate ongoing arrangements from early 2013" The ACMA will publish the changes to the licence process and forms setting out the further information needed for an application for higher power before 1 March 2012. 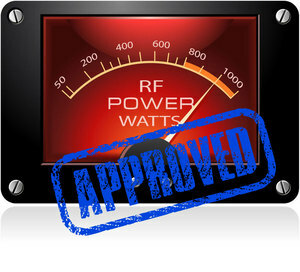 Transmitter power outputs up to 1,000 watts PEP may be permitted, though the emission modes to which this limit will apply are still subject to consideration. It should be noted that lower power limits may be specified in some cases. Higher power will not be permitted in certain areas that will be identified by the ACMA on its website. For the period of the trial, licensees permitted to use higher power will be encouraged to keep a full log of all transmissions on bands where the higher power is permitted, noting in each case the power in fact used. The WIA’s original request is fully set out in the November 2010 issue of the WIA’s magazine Amateur Radio. This is a preliminary announcement and further details will be published as they become available before March and after the Christmas break. The WIA anticipates working closely with the ACMA on this issue.